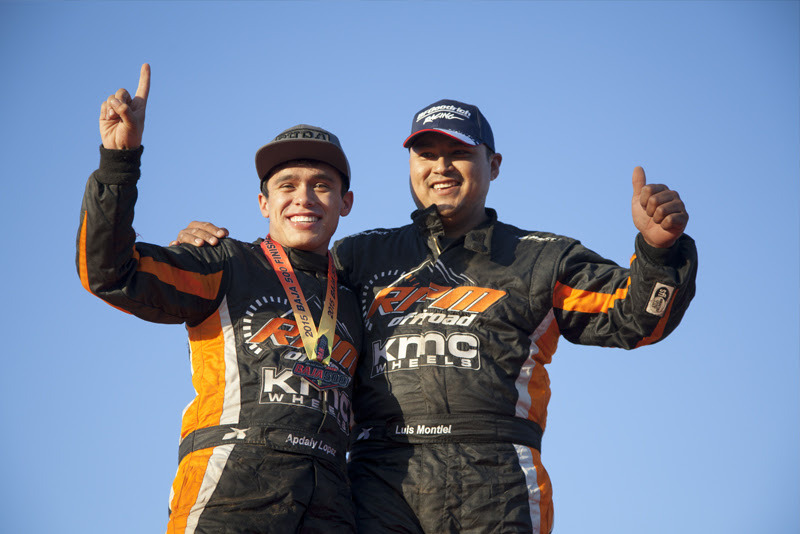 June 10, 2015 – Garden Grove, CA – King Shocks takes the overall win in the 47th SCORE Baja 500 with Apdaly Lopez. The win earns King Shocks its third straight overall victory in the SCORE International Off-Road Racing Series. The SCORE season kicked off with Tavo Vildosola taking the overall win at the San Felipe 250. 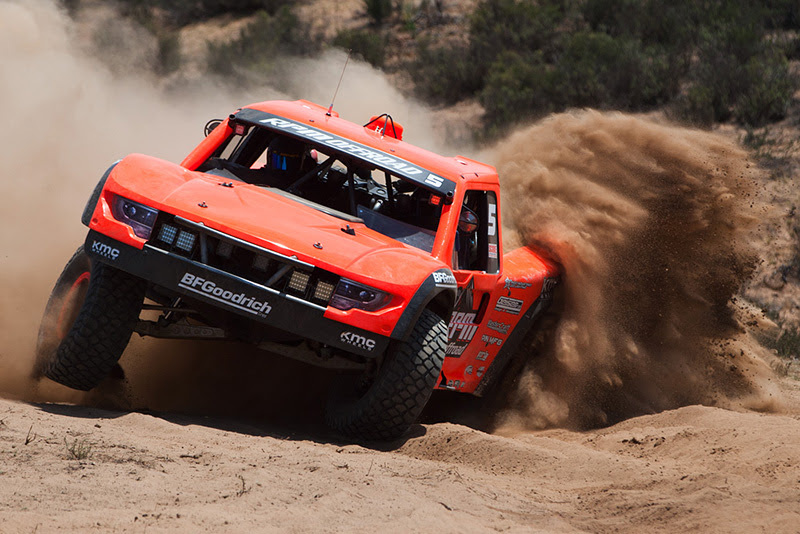 The Baja Sur 500 saw Apdaly’s RPM Racing and King Shocks teammate Lalo Laguna as the fastest overall driver on the 500-mile course. At the Bud Light SCORE Baja 500, it was Apdaly’s turn to outrun the field in a 500-mile Baja torture test. You might have seen the young Lopez taking a gold medal at the X-games behind the wheel of his Formula Off-Road Stadium Super Truck in 2014. His X-games gold medal performance made him the youngest driver in X Games history to win a gold medal in a car or truck. He also became the first Mexican National to earn an X Games gold medal. Now he has a prestigious Baja 500 victory to add to his credentials. 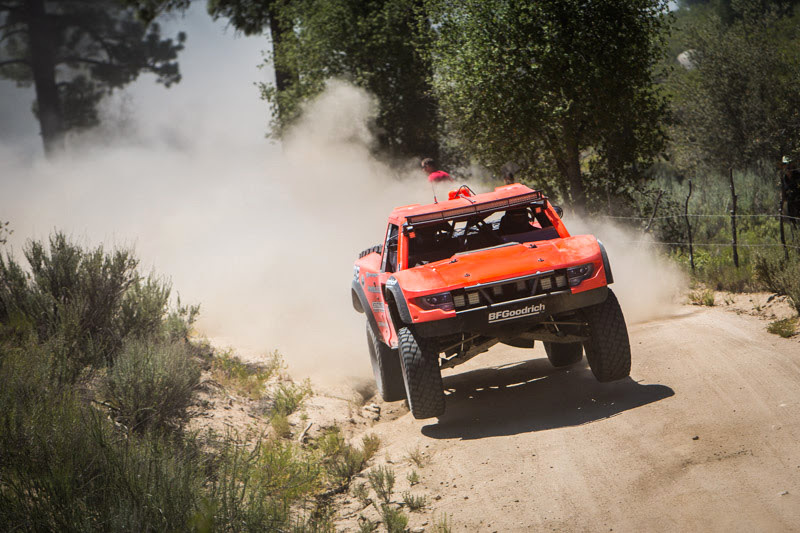 With numerous SCORE and BITD wins and Championships in several classes to their credit, the bright orange trucks and cars of RPM are making a huge impact on the sport of off-road racing. The Bristol, Tennessee based team has developed many talented new drivers in the sport including both Apdaly Lopez and Lalo Laguna. With so many different vehicles competing under the RPM banner, they rely on the precise adjustability, race winning performance and personalized technical support provided by King Shocks. You can get the same damping technology on your vehicle. Regardless if you are competing or just having fun, whatever your application; King Shocks has the shock you need with the same performance and reliability that Apdaly Lopez and the RPM racing team enjoy.